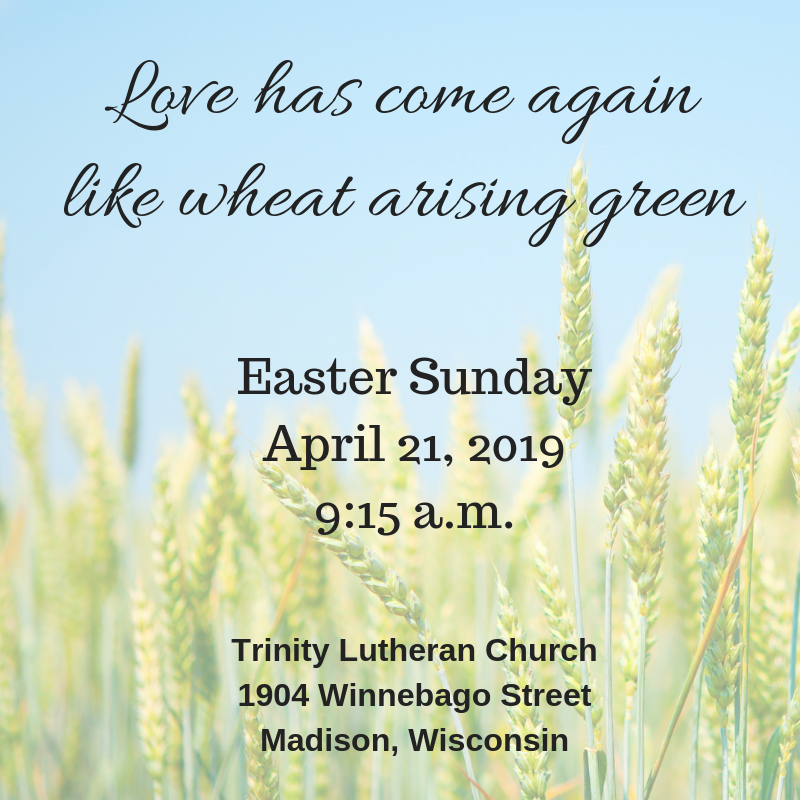 Easter Worship 2019 | Trinity Lutheran Church ~ Madison, Wis. This entry was posted in News, Seasonal Worship, Sunday Worship, Worship and tagged Easter, Easter Sunday, Resurrection of Our Lord. Bookmark the permalink.